How do I get my UT EID? You can get an EID online, through the Information Technology Services (ITS) UT EID Self-Service Tools webpage. Eligible individuals may also upgrade their EID at the ID Center on the first floor of the Flawn Academic Center (FAC) in order to gain access to online tools such as payroll sites and compliance training. What services can I use with my UT ID? Proof of identity on campus. Make purchases on and off campus with Bevo Bucks. EID Upgrades provide online access to credit-by-exam tests, grades, W-2s, payroll sites, and compliance training. Services available will depend on whether you are an employee (postdoctoral job code: 0712), or a research affiliate postdoctoral fellow (job code: A010). Check with your departmental human resources administrator to determine your access level. Where can I get keys to my lab and office rooms? Depending on your building and office location, your ID card (proximity card) may provide you with access. Otherwise, contact your department for information on obtaining keys.  I am employed as a postdoctoral researcher at UT; is my health insurance covered? If you are serving a postdoctoral fellowship with the university and are not an employee of the university, you may be eligible to enroll in certain insurance plans that are part of the university’s group insurance program as a Research Affiliate – Postdoctoral (A010). Individuals who are employed by the university as Postdoctoral Fellows (0712) must meet the same eligibility criteria as other eligible employees. I have my own grant/am a zero-time employee; do I have to buy my own health insurance? A zero-time assignment means you are not considered a UT employee, but you might be eligible to enroll in certain insurance plans that are part of the university’s group insurance program as a Research Affiliate – Postdoctoral (A010). I have dependents living with me; do I have to purchase insurance for them? If you are an international postdoc, "U.S. Department of State regulations require all J-1 Exchange Visitors to have medical insurance for themselves and any accompanying J-2 family members for the duration of their program. Fulfilling this requirement is essential, not only because of the U.S. Department of State regulations, but because medical treatment in the United States is very expensive without proper insurance coverage". For more information, visit the International Student and Scholar Services website. When does my insurance kick in? UT-purchased insurance questions should be directed to the Insurance Providers. Insurance typically is effective the first day of an assignment. In case of an emergency, for instance if there’s need for immediate access to health care (trying to fill a prescription or at the doctor’s office or hospital), call the HRSC at (512) 471-HRSC (4772). If all lines are busy and you receive voicemail, leave a detailed message and if possible, e-mail with an explanation of your issue. Are postdocs eligible for campus housing options? Postdocs are not eligible for on-campus housing. Off-campus, the University Apartments are only open to postdocs who were residents before they attained postdoc status and only if it is in the university’s best interest to allow the postdoc to continue to reside there. The Off-Campus Housing Website is a good place to start a housing search. Where can I look for listings in Austin? Where can I find the UT shuttle schedule? Shuttle information can be found at the Parking and Transportation Services website. The Austin-Bergstrom International Airport is located at 3600 Presidential Blvd, Austin, TX. If you’re flying into town, Capital Metro’s Airport Flyer offers rides between campus and the airport. What public transportation options are available in Austin? Public transit in Austin is provided through CapMetro and includes bus, rail, and ride share services, as well as MetroAccess for people whose disabilities prevent them from using regular bus and rail service. How do I contact campus police or UTPD? For emergencies, dial 911. For all other calls to UTPD, dial (512) 471-4441. For more information, visit the UTPD website. I have a medical emergency; who do I call? For severe emergencies, call 911. For other situations, visit University Health Services. In addition, the university HealthPoint, or Occupational Health Program (OHP) is available to faculty and staff. The OHP serves to treat minor work-related injuries & illnesses and provides health risk counseling to improve overall health & well-being.